My clients work one-on-one with me as each part of the gown comes together. You get to be personally involved the creation of the dress that you’ll wear on your big day. It’s an experience as much as a very important item. 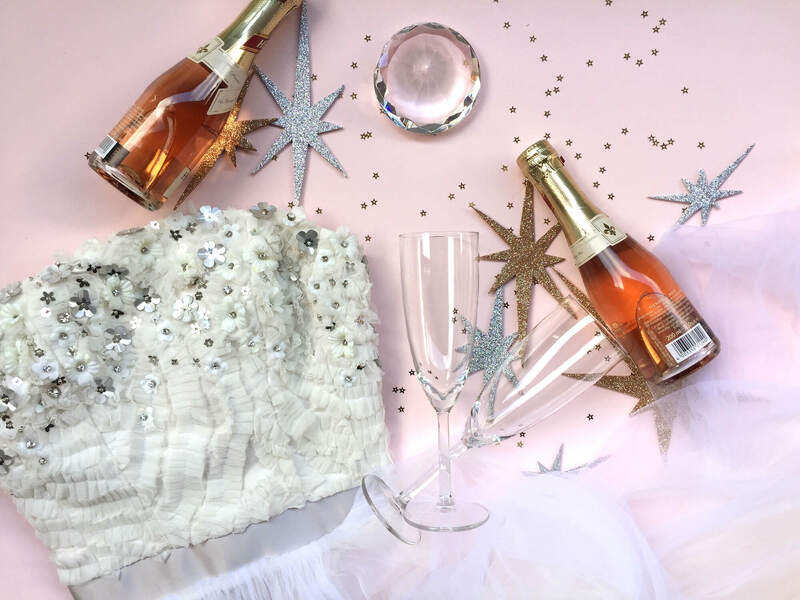 The first step for both custom bridal and special occasion gowns (evening gowns, prom dresses, cocktail dresses, etc) is to set up a consultation appointment. At this stage, we meet and have a chat about your personal style, loves, likes, dislikes, concerns, must-haves, and do-not-wants. 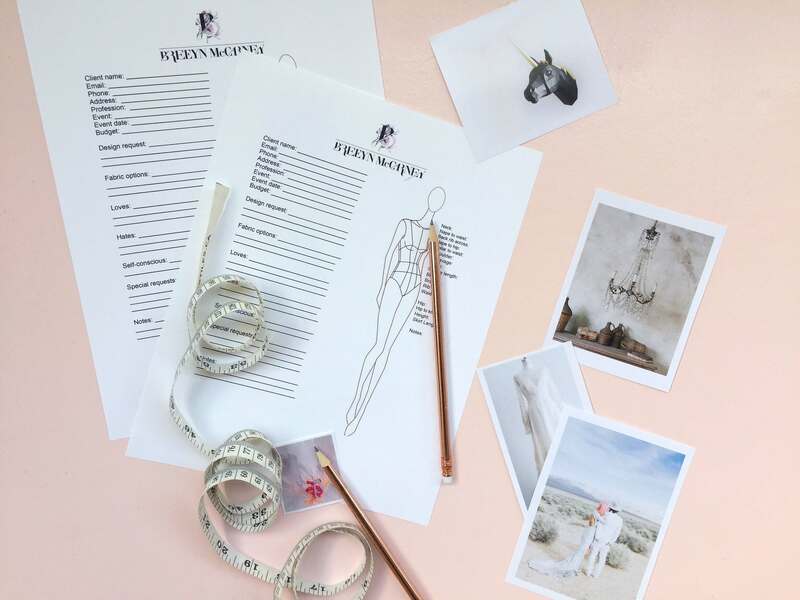 This allows me to get a sense of both you and your event, along with taking measurements and getting a basic idea of what you are looking for in the outfit. After this meeting has taken place, I design at least three custom gown ideas based on the discussion at the consultation. From there, we can begin to solidify final design details. It is important to note that while it is fine and often useful to provide inspiration photos or Pinterest boards to help communicate ideas (we love inspo boards! ), I do not copy other designer's dresses. All designs are custom originals. There is a $40 fee for the design package, which includes sketches and fabric swatches (both for colour and to give you an idea of texture, weight, and feel). This fee is waived once the gown is ordered. 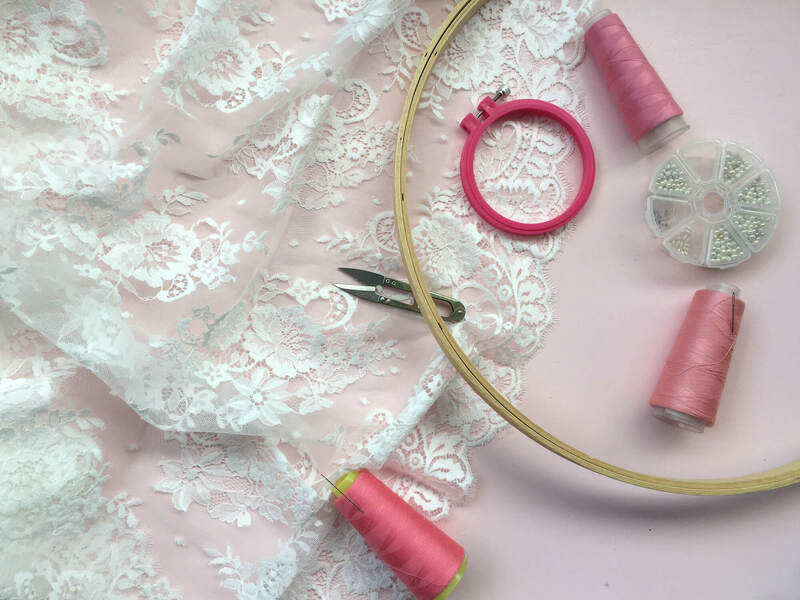 There is an initial deposit required to begin work on the gown, usually around 50-60% of the agreed-to cost of the gown, which covers materials and a portion of labour. The full balance is due upon completion. At this stage, turn-around time is discussed and agreed to once the final design has been confirmed. A fitting schedule is provided. Once the custom-fit muslin for the client has been perfected, it is tested in a mock up version of the dress made of plain broadcloth. This will give you the first chance to really visualize the final gown's silhouette, hem length, neckline, and so on. There is often only one mock-up fitting, but if there are several alterations required, there may be a second one. Once the mock-up has been approved, work on the final gown will start. The longest break between fittings will take place at this point as the gown is drafted, cut, stitched, and the embellishments are worked on. Please note that beading and complex custom embellishments can take weeks or even months depending on the complexity of the design. Step 5 is the most fun, as this is the big reveal of the final gown! At the final fitting, any little adjustments that may be left are addressed - hem length, small changes to the fit, and other small items that may arise. After that is finished, you are able to take home your beautiful custom gown! It's very difficult to give accurate estimates on custom gowns - there are so many variables. However, to make it a bit easier to know what to expect, I've done some rough drawings of some basic silhouettes. The base price for a custom gown from scratch starts around $2000. This includes a completely original custom-fit pattern. This may not include special materials like lace or embellished fabrics, custom beading, etc. 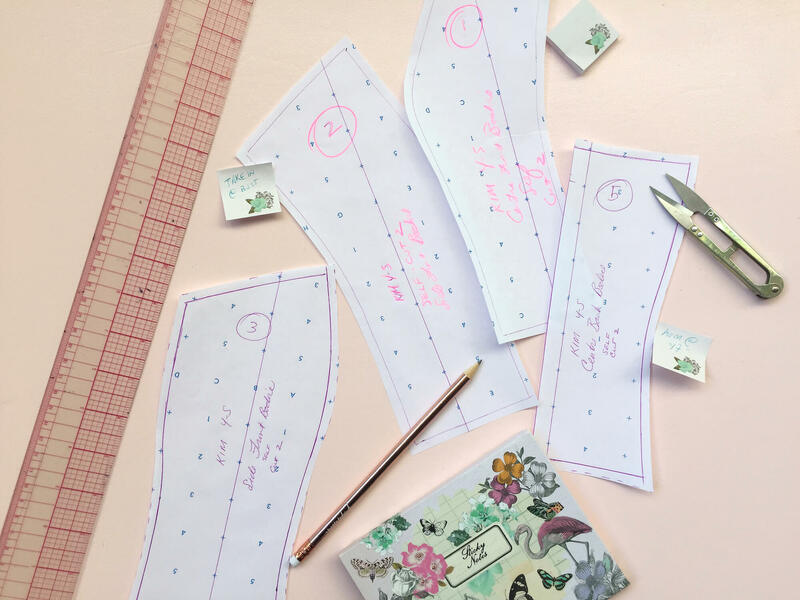 Other special details like fit-and-flare and trains are also things that affect price (due to extra fittings, the time require for pattern drafting and extra fabric). For a gown that incorporates more custom detail, i.e, some fit-and-flare skirts, some trains, illusion necklines, and some custom embellishment, gowns tend to fall within $2500-2800. This is the roundabout average of most gowns. The pricing process is pretty transparent, material and labour are all written out for the benefit of the client. Budgets of $3300 and up are necessary for those who want do not want to compromise on their gown. Fabrics like silk, couture internal foundation, lots of custom beading/embroidery, trains, etc. Longer trains require a lot more fabric, so this is reflected in the materials cost. All my beading and embroidery is custom designed for the client in question. 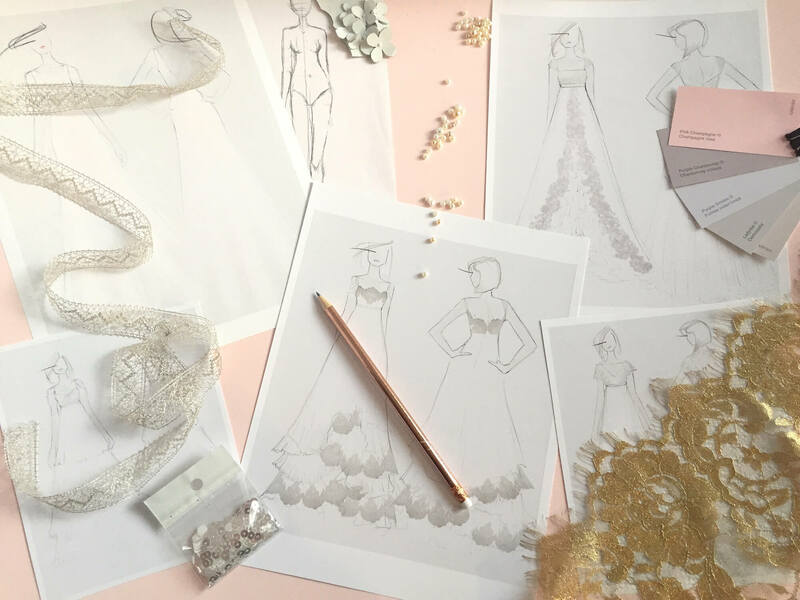 From concept and testing to final confirmation, the client is closely involved in the development of the embellishment for her gown.